Don’t siesta, come & fiesta! 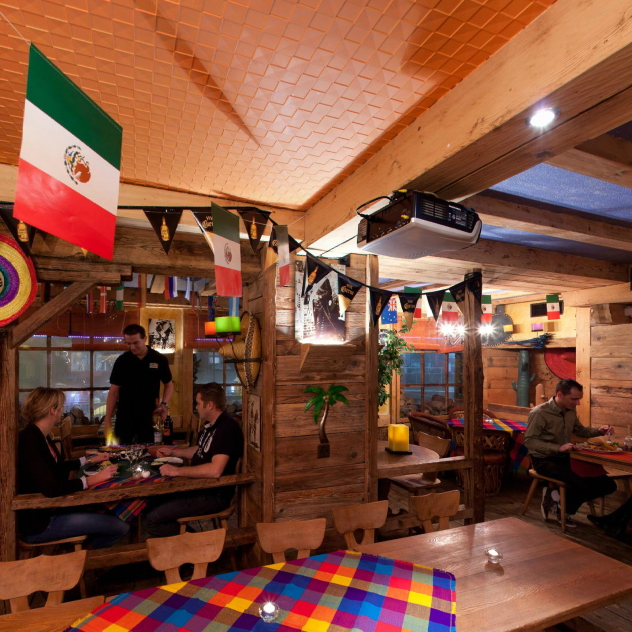 The El Gringo disco is just the place to end your day's skiing on a high note. This popular venue in Villar with its buzzing atmosphere, themed parties and guest DJs will take you into the early hours. Located in the heart of the resort, El Gringo disco is open all year, from 10.30 pm to 4 a.m., with a succession of guest DJs for your entertainment. Party with your friends while you soak up the bass and let yourself go on the dance floor. Make sure you check out the bar for one of the many cocktails on offer. If you're dining at Mamma Lotta's or at the Chalet Suisse restaurant, don't forget to ask for your free entry to the disco.